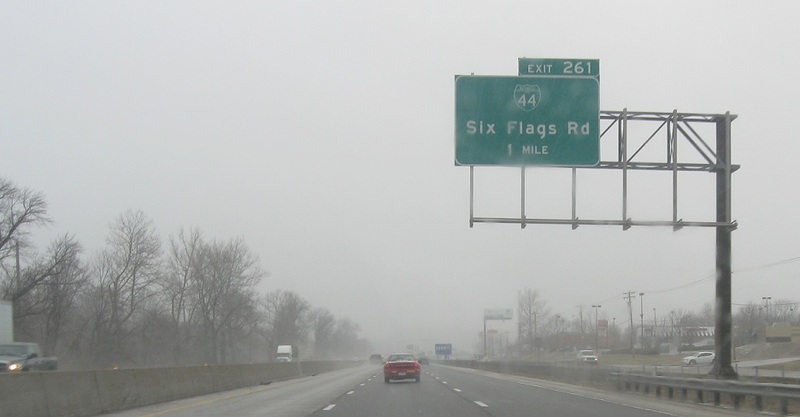 Just after the 109 interchange, we’ll approach the I-44 Pacific business loop, which serves Six Flags. 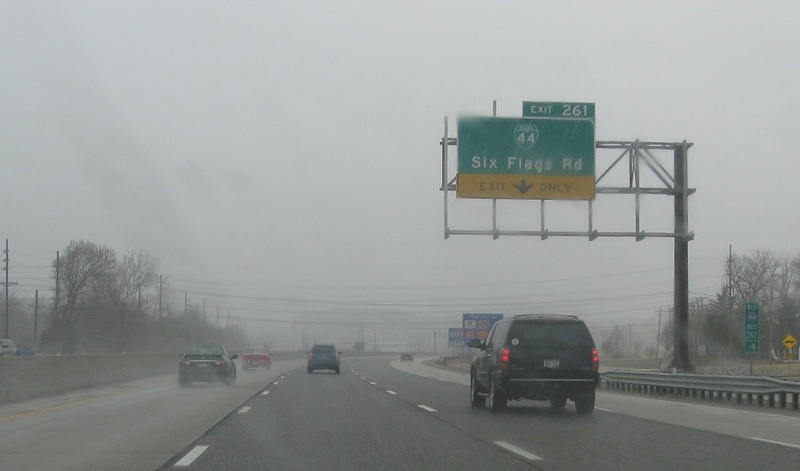 Keep right for the 44 Business loop. 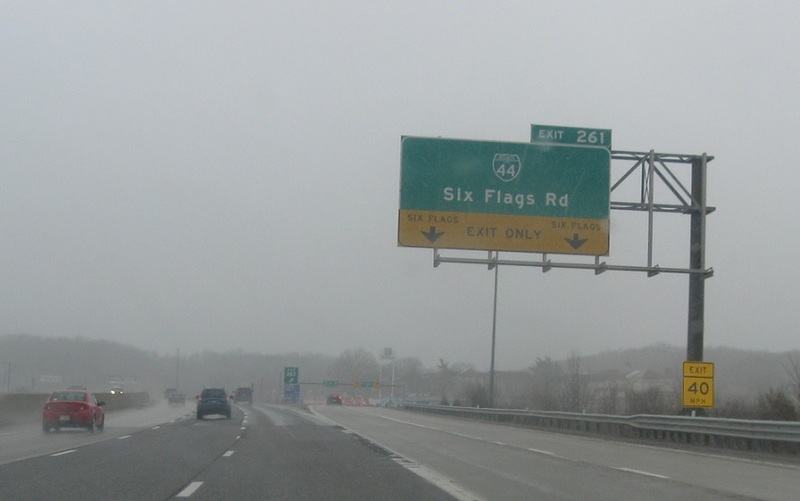 Exit to head to Six Flags, which actually is north of the interstate, while the business loop heads south of the interstate. 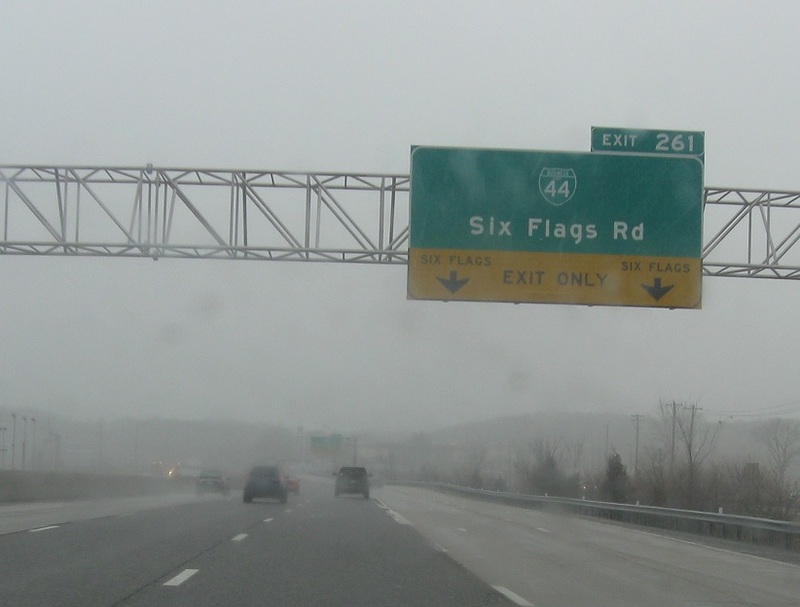 Exit to head to Six Flags and the town of Pacific.